The next week has a variety of events for everyone from garden to space enthusiasts. 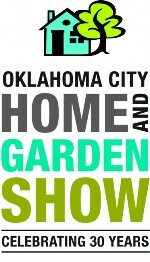 The 30th Annual Oklahoma City Home and Garden Show comes to the Oklahoma State Fair Park from January 20th through the 22nd. The show opens at noon on Friday, and 10:00 a.m. on Saturday and Sunday. 500 exhibitors will be present, including celebrity design gurus such as Todd Davis from HGTV’s “Room Crashers” and Mark Brunetz from Style Network’s “Clean House”. Participants can find advice and ideas, and the latest products will be on display. Oklahoman experts such as Stone Makers of Central Oklahoma and local interior designer Janis Bevers will attend. The choral group Octarium performs at Oklahoma City Community College in the Bruce Owen Theatre on January 19th beginning at 7:00 p.m. The show called “Should Have Been Choral” features a capella arrangements of a variety of styles of secular songs ranging from orchestral symphonies and operatic overtures to Broadway show tunes and pop songs. The group began in 2003 in Kansas City, and tours as an educational choir as well as performance act. Their mission is to create interest in and promote the choral arts through their program. The Jacobson House Native Art Center in Norman opens a new exhibit, “Hide Art to Fine Art.” It is open to the public January 24th at 10:00 a.m. The display shows the progression of Kiowa art as historical data to fine art contributing to local and international communities through photographs and paintings by the Kiowa 5. The museum also features movies by Kiowa filmmaker Steven Judd, and a book signing, lecture, and poetry reading by author N. Scott Momaday. An opening reception for the exhibit takes place February 10th at 6:00 p.m.
Science Museum Oklahoma hosts the test version of NASA’s Orion Spacecraft on display January 24th and 25th. This vessel was used by ground crews in anticipation of the launch abort system flight test in New Mexico in 2010. Interactive NASA activities throughout the museum accompany the display, and include the family event “Night with NASA” from 4:00 to 8:00 p.m. on the 24th. Astronaut Terry Virts speaks in the Science Live! auditorium on the 25th at 11:00 a.m. and 2:00 p.m. and signs autographs at noon. The Harlem Globetrotters come to Oklahoma City on January 22nd. The Fred Jones Junior Museum of Art holds an opening reception for the 98th Annual Student Art Exhibition at the University of Oklahoma. For more events in your area, or to submit your own events, visit our calendar page.